Okay, perhaps it would be more accurate to say I am obsessed with cookbooks. When I go to a bookstore, my first stop is the cookbook section - especially to search for any bargain or marked-down books. I always look for vintage or collectible cookbooks in used bookstores. 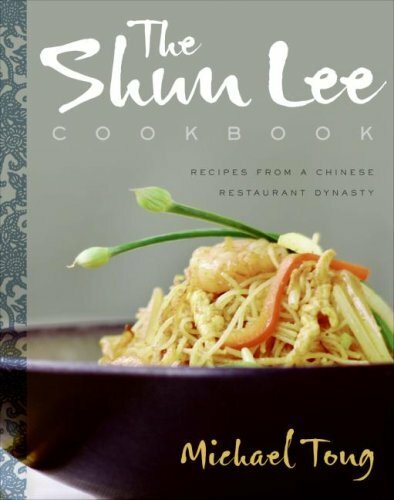 Whenever I see a new chef who intrigues me on TV, I run to Amazon to see if he or she has any cookbooks I can buy. 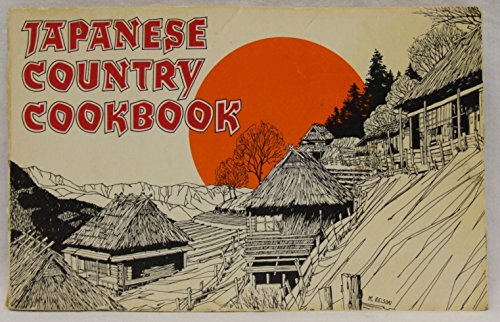 Every once in a while I even scan eBay for cookbook lots and collections. It's a little bit out of control, I know. I think at last count I had somewhere over 250 cookbook titles in my collection, plus shelves upon shelves of old magazines like Bon Appetitand Gourmet. I know I'll never ever cook every recipe in every book; I even have a hard time, sometimes, remembering when I've found a recipe I really like and want to make it again! But I just can't help myself. 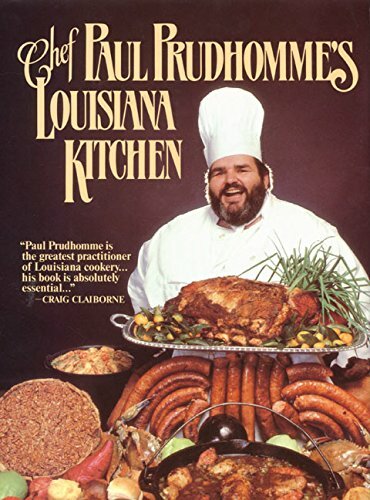 There are just so many things about cookbooks I love, that I have to talk about them here. And yes, while I do often find myself turning to the internet for recipes and cooking inspiration, the internet will never replace my cookbook library! Your Cookbook Collection: How Big Is It? None - I don't cook/don't use cookbooks. Uh...let me get back to you on that. 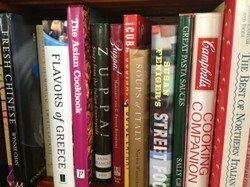 Cookbooks can take you and your family on a cultural - as well as culinary - journey. 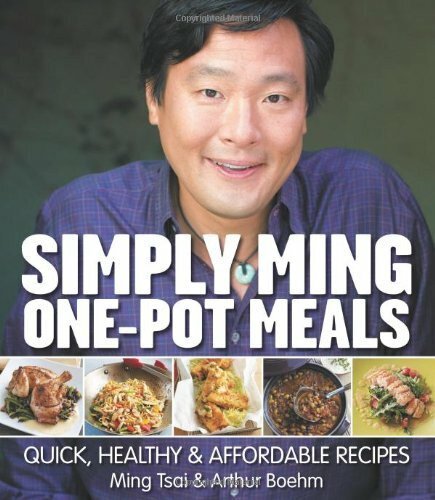 I'm always looking to acquire new cookbooks based on cuisines I'm not familiar with. You can learn a lot about a country or region's history, cultural traditions, holidays and even climate by studying themed cookbooks. You just don't get that same experience with a single recipe pulled off a general food blog or a recipe website. 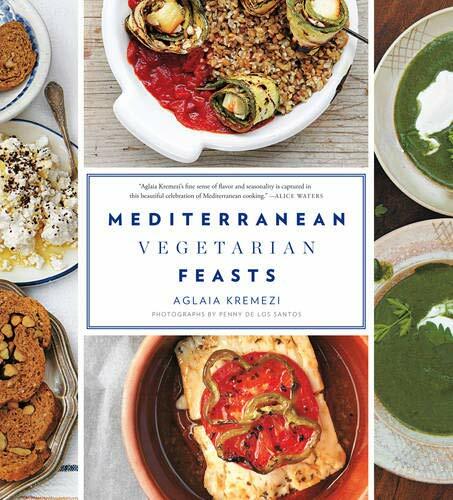 If you have children, working your way through a cookbook with your kids can be a great way to introduce them to world cultures - and broaden their taste palettes! While I was growing up, my grandmother was cooking Thai, Japanese, Spanish, Chinese and Creole food for me along with our family's traditional Italian, German and Polish foods. For her it was a creative way to express herself and keep learning new things. For me, it was a wonderful introduction to world cuisine that left me always open to trying new foods and taste experiences as I grew older. 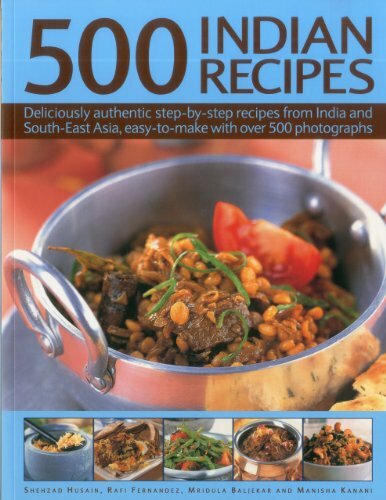 Do you enjoy learning about new cuisines from different countries and regions through cookbooks? Yes, it's a great experience and I always love trying new things. Sometimes, though I've bought certain ethnic cookbooks just to find I don't really like the food. No - it's too hard to find some of the ingredients they're always listing. No - my family doesn't like trying new things (or I don't). I stick with the basics/what we're familiar with. Looking through my grandmother's cookbooks, I always have to smile when I see her personal notes written in to the margins of recipes - how she modified ingredients, whether we liked a dish or not, what to serve it with, etc. I even enjoy seeing the grease-stained pages of favorite, repeatedly-prepared recipes - it's how I helped find the particular versions of dishes I wanted to make for myself that I remembered as a child. My mother, too, likes to write her own index into the front cover of cookbooks, listing her favorite recipes, or even jotting down notes when she sees a recipe on TV that she wants to try. I've started to develop the habit myself, for it helps me remember months later recipes my sweetie especially enjoyed, what changes I made, or what I thought might need improvement the next time I made a dish. Another thing I love about cookbooks - at least some of them - is the gorgeous photography. I will often just spend some relaxing time paging through my cookbooks, feeling inspired by the beautiful plates of food. I want to plate like that! While there are some food bloggers who are amazing photographers as well, it's hard to get that really beautiful look to your food in most home photography set-ups. I don't have a professional food stylist who can come in and stage my dinner plates so I can take photos for my blog! 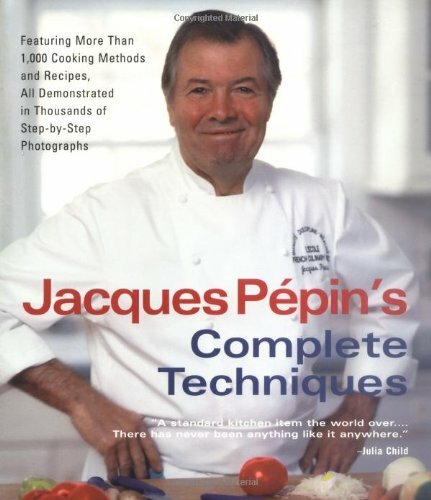 Of course, not all of my favorite cookbooks have great photography - a few of them have no photos at all. 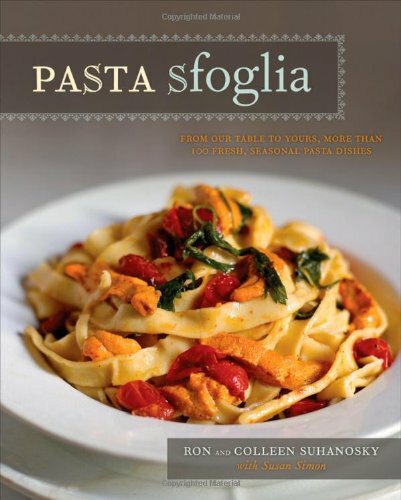 But it can make for some glorious "food p-rn" to browse through a really beautifully photographed cookbook. 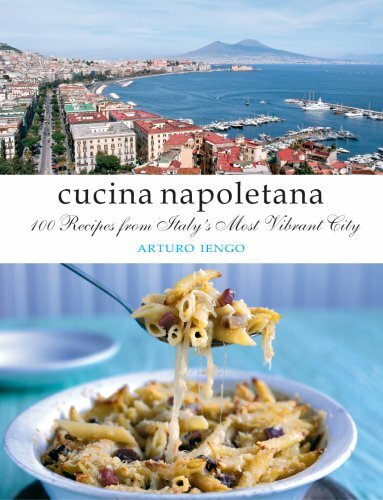 Cookbooks I love for their fabulous photography...and great recipes! 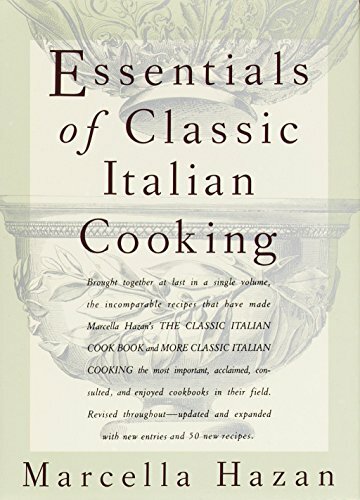 Cookbooks are a chance to learn from my favorite "celebrity chefs"
I am a bit of a cooking show addict—at home I'm always watching cooking competition shows like MasterChef or instructional series like Simply Ming. But not every tv or restaurant chef is created equal, nor can they all translate their skills into writing a useful cookbook. 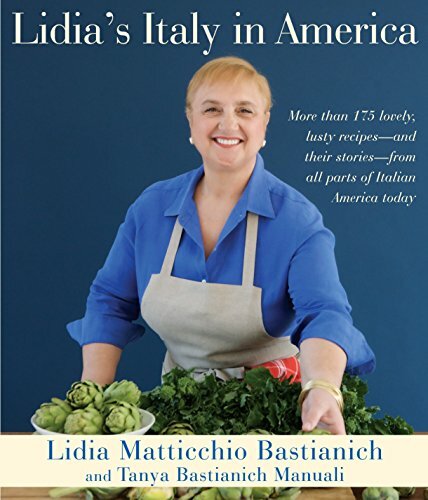 But some of my favorite titles are by my favorite chefs, such as Ming Tsai, Jaques Pepin, and Lidia Bastianich. These chefs know how to communicate their techniques well to the home cook and have helped me elevate my own cooking style, far more so than if I just watched their television series. Why do you buy cookbooks? ...I want to learn a new cooking technique or particular ethnic cuisine. 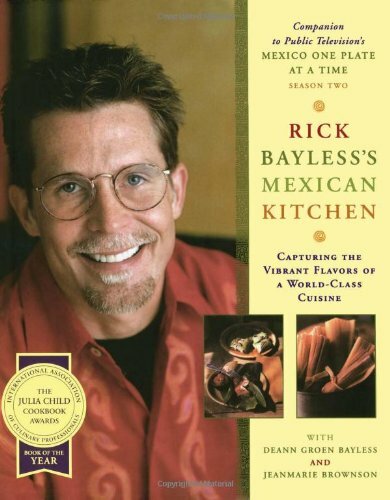 ...I've seen the cookbook author on TV and enjoy their personality and recipes. ...the cover photo catches my eye, and there are lots of colorful photos inside. ...the book has been recommended to me by friends, internet reviews or elsewhere. ...it's cheap and on the bargain rack! I can't stop myself from buying more cookbooks! I can never have enough cookbooks! EatYourBooks is a great website for cookbook enthusiasts who want a way to catalog their collection and more easily find recipes to use in their books. You can view my collection there and also learn more about why you might want to join the site in my review of the EatYourBooks website. Do you love cookbooks? Which one is your favorite? Leave a comment below and thanks for reading! I tend to buy used cookbooks as well (either in thrift shops or online via Amazon). It definitely has helped me save money while feeding my addiction! I don't buy new cookbooks. Instead, I look for older ones at yard sales and thrift shops. I especially like the ones that give you some household hints, too. Older cookbooks give you a sense of history and culture. I like to "read" my cookbooks. Generally I'll try to follow a recipe closely the first time I make it, unless I have confidence that a certain change will not be a big deal or might even make it better. After so many years of cooking I have a pretty good sense of my tastes and what works well for me and how I like to cook. You have a great point there about Amazon. I'll try to order online if it makes sense to do so. I can order from Amazon UK and I don't have to pay customs taxes. I find Amazon to be great for difficult-to-find ingredients. For instance when I first got into Indian cooking, Amazon was the only way I could easily locate certain spices and seeds I needed. The shipping can make it more expensive but I try to buy in bulk or from Amazon Prime when possible. I have many cookbooks but somehow I always find myself inventing my own recipes based on nothing (old memories, actually, of certain recipes). I like playing with spices and making my own version of blander Romanian dishes. I want to cook various ethnic dishes more but I can't find ingredients and get very frustrated. We do have special sections of ethnic foods at the supermarket and there are natural foods stores but I still can't find stuff. And when I do, it's very expensive, which is the other big problem. I have one cookbook. I have lost the others while moving throughout the years. Being alone, I don't have a need for them anymore since I cook simple dishes, not baking anymore. They are nice gifts though if you know someone who loves to cook and bake different things.